Singletrack composed of two main loops separated by a creek. Be watchful for the occassional hiker as many non-cyclists use this trail. It's a nice trail suitable for all skill levels. The first loop is east of the creek and follows the creek for a little bit and then meanders up hill and takes you to some nice little sandstone bluffs. The second loop is on the west side of the creek. The trail used to be marked with aluminum hiker tags on trees, but some of them have since disappeared. There is a little cemetery on the first part of the trail so please do not disturb the stones. Review: I wasn't sure if i was at the correct place at first. The trailhead starts out at a set of stairs and doesn't have anything about mtb's anywhere. The trail itself is pretty good. Lots of good technical rocks and some good fast flowy sections, but there are some wicked climbs. I'm in pretty good shape and got light headed at the top of the climb on the orange loop. I rated it advanced because there are several places where i had to dismount (mostly on the climbs), but there areas where the intermediate rider will dismount for technical rocky sections. Over all, i would come back. Review: Great winter trail. Trailwork done in November & December for awesome wintertime riding. She's pretty tough, but that's why she's called "The Lady". Review: This trail has TONS of potential. I rode it a couple weeks ago, though, and it was pretty overgrown. There were a few times I wasn't sure if I was actually on the trail or not, and at one point I was sure I was going to come across some snakes. The trail crossed a fire-stop for some power lines and it took me some time to find out where it started again on the other side. Overall though, the trail is marked well. (I followed the orange trail). There are a couple more out there I plan on checking out soon. Hopefully the coming fall leaves don't make sections of it disappear. All in all, it's a great trail with some good climbs and some scenery. 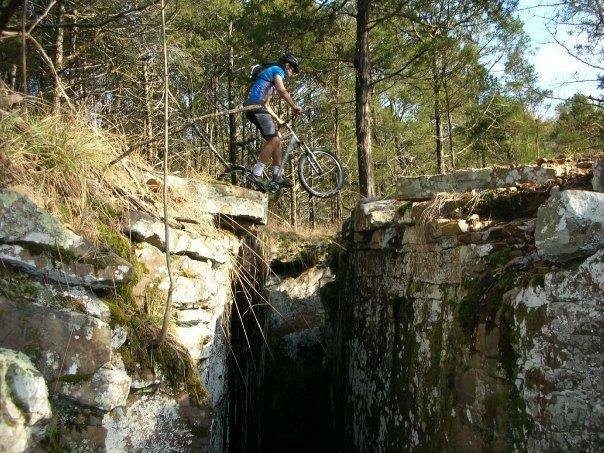 If you're in the Fort Smith/Van Buren area, help me ride it and maintain it! Review: Nice view of lee creek once you climb to the top. There is an old homestead to check out and a few cliffs that are pretty neat. Lee Creek Reservoir Trail MTB Trail 3.40 out of 5 based on 5 ratings. 5 user reviews.